We look forward to seeing everyone at our next PTG meeting on Monday, March 6th @9:30am. We had the privilege of having our 3rd graders present samples of their persuasive writing to the audience at our last meeting. What a treat! We would love to continue to have the kids share some of their writing at every meeting. The PTG has lots of fun activities planned for the upcoming months and now that the weather is getting nicer, we hope to have higher attendance at our meetings. Have a wonderful and safe week off! 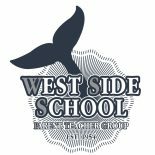 WSS Movie Night- Please join us for West Side School’s movie night on Friday, March 24, 2017 at 5 p.m. We will be showing “Finding Dory” Enjoy pizza🍕 and popcorn🍿while you watch a great movie with your friends. Dress in PJ’s and don’t forget your pillow! This event is for WSS students and their siblings only. Parental supervision is required for all attending-No Drops Offs Please. All WSS students will have a chance to win a raffle prize. Students must be in attendance in order to be eligible to win a prize. Any questions, please contact Rita McCarey at rmccarey@gmail.com. See you at the movie! This entry was posted on March 1, 2017 by wssptg in Brief.